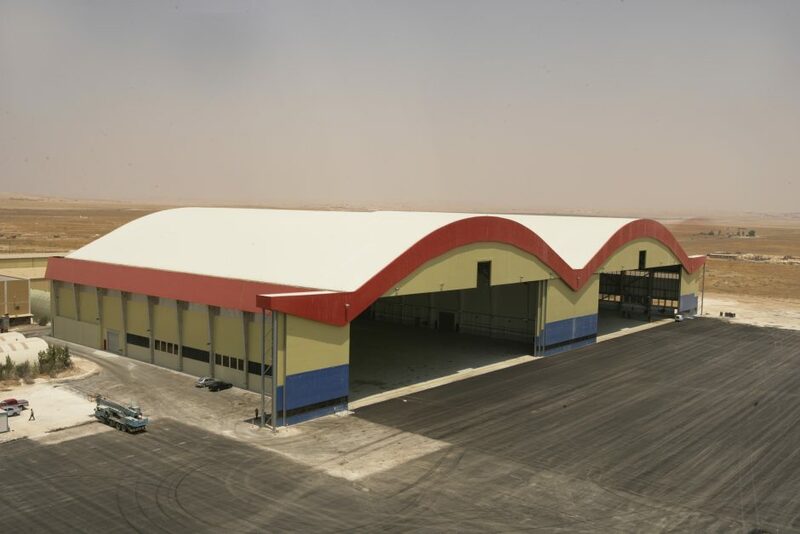 BJA have completed a number of aircraft hangars with Aircraft Support Industries (ASI). 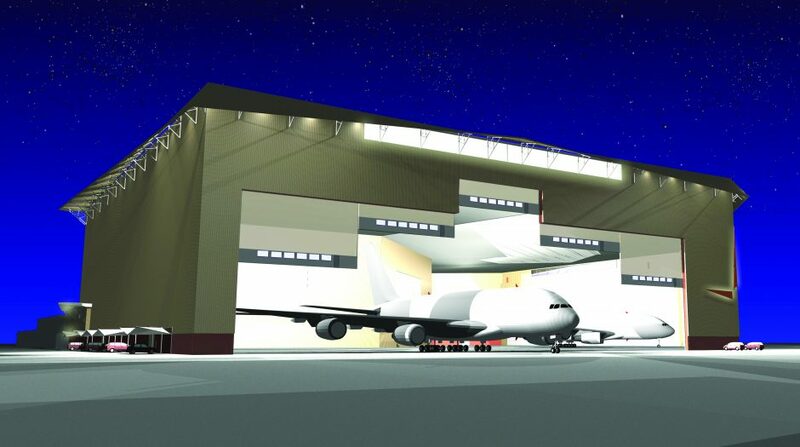 In Jordan BJA resolved the planning and developed the architectural character and detailing of an otherwise pragmatic double aircraft maintenance hangar. Putting lipstick on the gorilla! The scale of the building demanded a bold but simple approach. Massive concrete support columns were tapered and partially exposed, the cladding layered to generate shadow lines and the pelmet to the sliding hanger doors shaped and coloured to evoke movement, lift and flight. 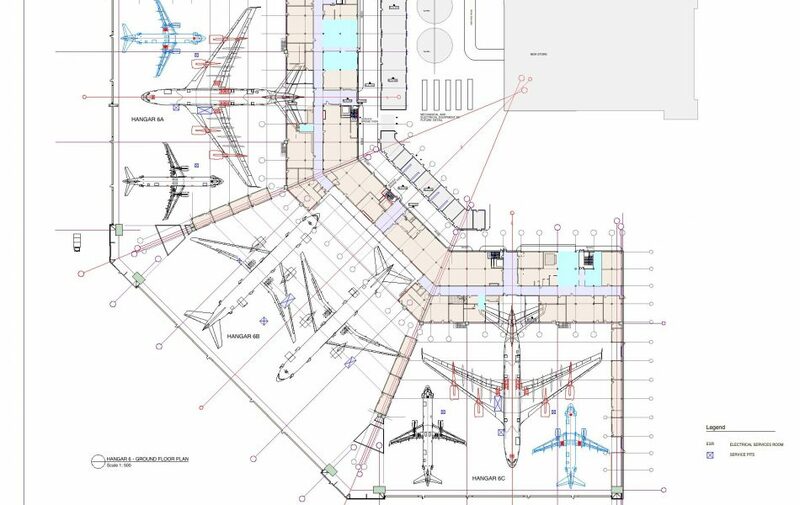 Aircraft Support Industries (ASI) won the tender to design and construct three hangers and associated maintenance workshops in UAE. BJA were engaged for architectural design & documentation. The $70m facility is designed to service the new A380 as well as smaller aircraft and caters for 500 workers per shift. The massive 33,000m2 floor area, 39m high façade and 30 x 100m door openings required careful detailing to break down the scale and comply with the strict internal climatic and fire safety criteria. BJA detailed the otherwise functional volumes and materials and developed internal colour systems to articulate and humanise the spaces.